This absoluetly wonderful christmas card is perfect for anyone and everyone. Santa and his sleigh flys across the dark full mooned night, painting the words. 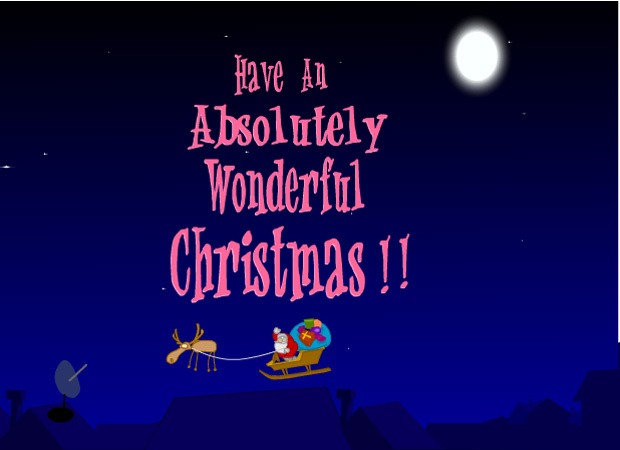 "Have An Absolutely Wonderful Christmas" in a bright hot pink colour.